We're a group of local Omaha professionals providing complete full service business and household services including handyman maintenance installation cleaning hauling junk removal and moving. We can help you with any business or household project or needs that need a handyman or contractor. 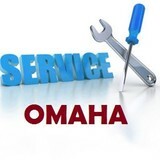 Service Omaha offers handyman contractor home or business improvement maintenance services, assembly, repair, installation, roofing, painting, remodeling, renovation, window and door services, commercial residential cleaning, hauling and moving services. Service Omaha specialize in commercial residential home office building maintenance and installation services (Handyman). We also offer office cleaning, junk removal and hauling, moving help services in Omaha NE. Service Omaha is a local business. Our prices are below industry average since all of our professionals work independently offering handyman home improvement services, cleaning services and moving hauling services. 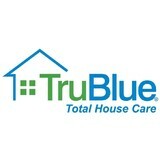 We are a total home care company! Handyman Joes started in the fall of 2008 with just one handyman and a notebook. Since then, Handyman Joes has become Omaha’s most trusted handyman service provider for both residential and commercial properties. The company has now grown to a fleet of trucks with enough full-time technicians, estimators, and office staff to handle a wide range of home improvement projects of all sizes. In fact, in the last three years, Handyman Joes has surpassed $1M in sales and has won the Best of Omaha award consistently. For more information about the company or to schedule a service with the Omaha handyman, contact the office today. Handyman Joes provides a free, itemized, and no-obligation estimate for all potential customers. High Five Handyman is a locally owned & operated business located in Omaha. Specializing in home repairs of all kinds High Five Handyman is there for you. With all of life’s daily stress you find yourself not finding time to do those little household projects that need to be taken care of. Just call High Five Handyman to help you out around the house. Reasonable rates, dependable service & quality work. 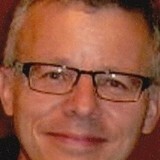 What can a local Omaha handyman do? While home handyman services in Omaha, NE usually cover most of these things, sometimes it’s better to hire a specialized professional so do certain jobs, especially if it’s related to major plumbing or electrical fixes. Here are some related professionals and vendors to complement the work of handyman: Heating & Cooling Sales & Repair, Plumbers, Electricians, Roofing & Gutters. Find an Omaha handyman on Houzz. Narrow your search in the Professionals section of the website to local handyman servicesin Omaha, NE and read reviews and ratings to find one that fits your needs.